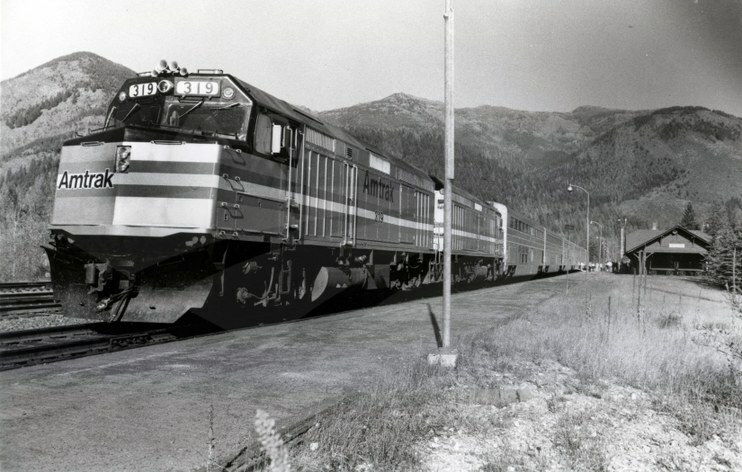 In this 1980s image, the Empire Builder stops at West Glacier, Mont., which was originally known as Belton. After five years in Havre, he moved to Whitefish in September 1985. The community sits on the southern edge of a lake bearing the same name and is a popular destination for winter sports enthusiasts. It is also just west of Glacier National Park, whose lakes, forests, meadows and soaring mountains attract millions of visitors each year. Lustig was based in the old GN depot built in 1928. Designed in an Alpine style, the building features horizontal wood siding on the first floor and half-timbering on the upper stories. The Stumptown Historical Society, which works to preserve the history of Whitefish and the Flathead Valley, renovated the building in the 1990s. 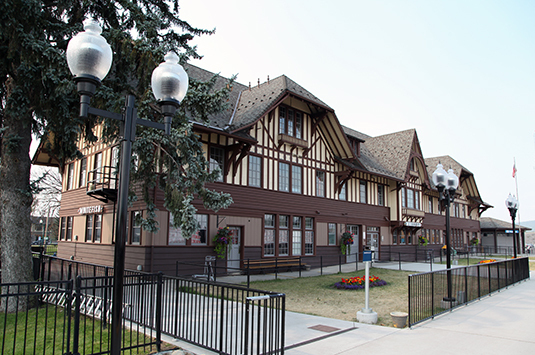 Today it houses BNSF Railway offices, an Amtrak ticket office and waiting area and a museum exploring local history. From April 2000 through October 2001, Lustig transferred to Shelby, Mont., which sits at the center of a rich farming region known as the "Golden Triangle." The area produces the majority of the state's barley and wheat, as well as almost all of the mustard seed grown in the United States. In addition to working in the ticket office, Lustig spent six months as the crew clerk for the train and engine crew base. Customers enjoy some fresh air as the eastbound Empire Builder stops at Havre, Mont. Image courtesy of Joe Rago. Amtrak made major strides in modernizing its ticketing and reservation system and fare structure in the early 1970s. When Lustig started out in Chicago, he would have used the four-year-old Automated Reservation Ticketing System (ARTS). At its introduction, it had eliminated the need to hand-write ticket reservations, thereby saving time and reducing the risk of lost paperwork. ARTS reached a major milestone when it issued more than one million tickets in August 1978. 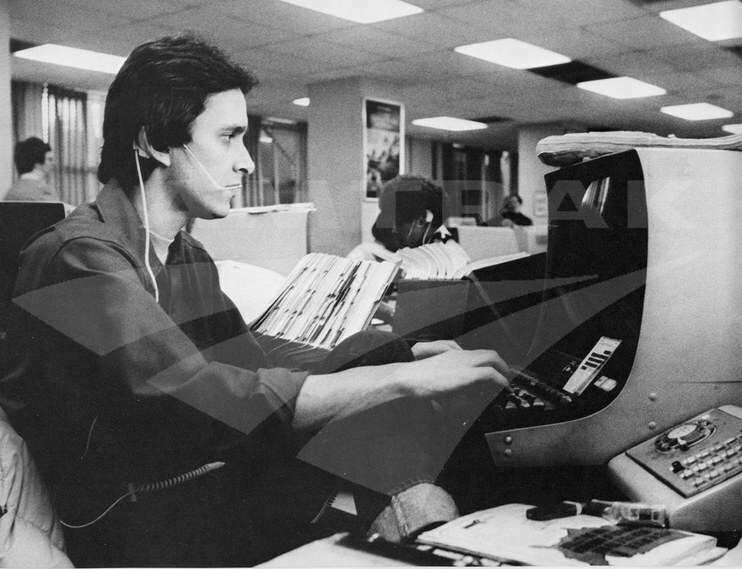 Due to growing ridership in the late 1970s, ARTS was at times overwhelmed with calls that then triggered delays and shutdowns. In response, Amtrak developed a new system called ARROW that launched in 1982. ARROW had ten times the computing capacity of its predecessor and restored an optimal two- or three-second response time. In 2012, Amtrak implemented eTicketing across the entire national network. It allows passengers to print their tickets at their convenience or use a smartphone to show the eTicket to the conductor, thereby resulting in shorter ticket lines at stations, fewer tickets sold onboard trains and a decrease in the number of lost tickets. It also provides Amtrak with accurate real time knowledge of who is on the train, en route reporting of onboard equipment problems and more efficient financial reporting. “Reserving passengers’ travel plans, booking and ticketing were always at the core of a ticket clerk’s job,” Lustig says. “I know the many benefits of eTicketing, but I felt like I wasn’t doing my job when just issuing a passenger a piece of paper!” His comment points to how technology is reshaping passenger railroading and the customer experience. 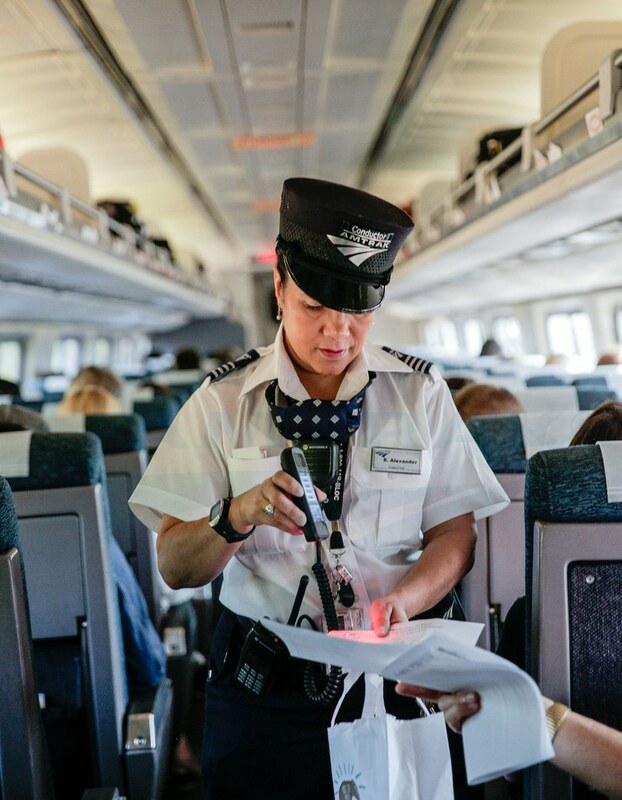 Ticket agents are now referred to as customer service representatives because they inhabit a broader role as ambassadors for Amtrak, ready to assist people in whatever way they can. “There was a conductor named Al who would call us at the Chicago Reservation Sales Office to find out how train 7/17 was due into Midway Station [in Minneapolis-St. Paul]. At the time the North Coast Hiawatha ran tri-weekly and the Empire Builder ran quad-weekly so the Builder was train 7/8 (as it is now) and the North Coast Hiawatha was train 17/18. North Coast Hiawatha approaching the Bozeman Tunnel. 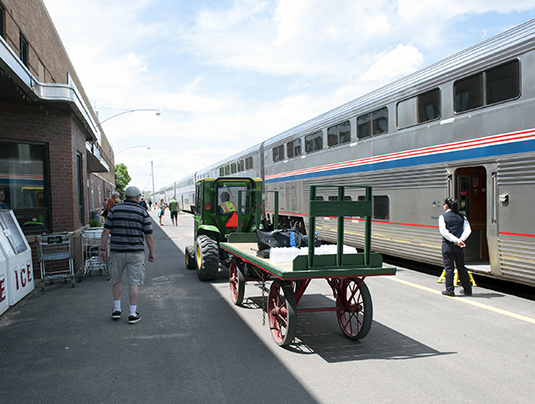 Anyway, I told Al that I would be riding to Billings and asked if by chance I could get a ride in the cab of the locomotive out of Midway. He said okay and on the day I went west, I met Al for the first time. So I got to ride in the cab from Midway to St. Cloud, Minn. The engineer’s name was John and the fireman’s name was Tom. Also in the cab was the rear brakeman named Bill. He was in the cab because he had to hand-throw some switches coming out of Midway and on to the Burlington Northern Railroad (BN) main line. Back then the train still went over the Stone Arch Bridge in Minneapolis on its way west. The North Coast Hiawatha was a descendant of the Northern Pacific Railway (NP) flagship train the North Coast Limited. In those days, the train and engine crews worked for the operating railroad (in this case BN)1. The four people mentioned above hired on with the NP and then worked for BN. 1979 was the year that the Carter administration proposed…cuts to the Amtrak route structure…There were petitions in the Billings depot for people to sign to keep the North Coast Hiawatha on. I grabbed some blanks and had people sign them on the trip back, and when I got to Chicago I had friends and co-workers sign too. Interested in hearing more from long-time Amtrak employees like Mike Lustig? Check out past Amtrak Voices posts. 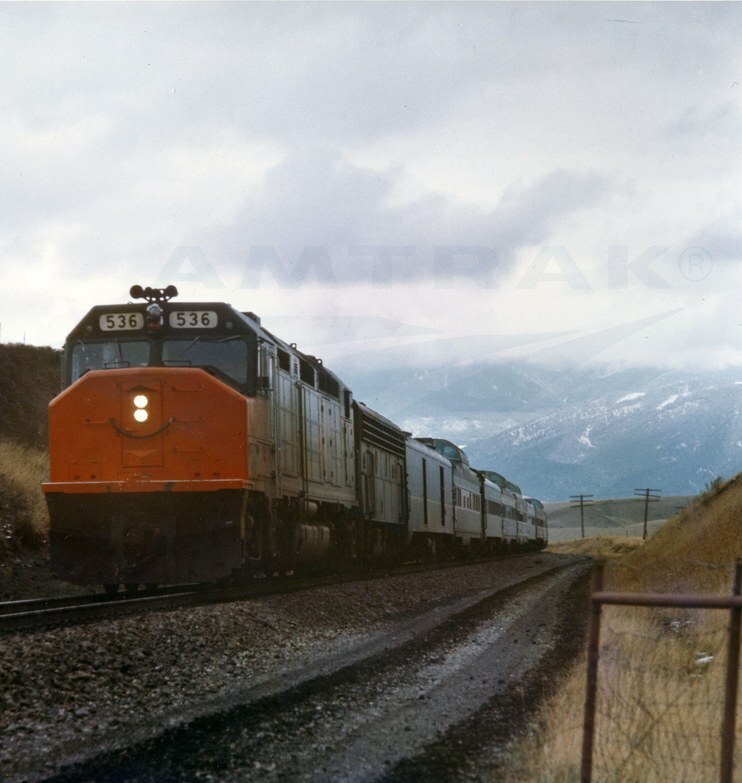 1 In 1970, the NP merged with the GN, Spokane, Portland and Seattle Railway and the Chicago, Burlington and Quincy Railroad to form the Burlington Northern Railroad. Amtrak History electronic mail interviews with Mike Lustig took place in fall 2015. All quotes by Lustig are drawn from these interviews.